Charlotte Banayan - Hi ! I am a fourth year Cognitive Science major from Los Angeles. I love taking an active role in building a stronger Jewish community at Cal. My hobbies include swimming, yoga, playing the piano, and watching New Girl. Most of all, I enjoy virtually anything food related (cooking, eating, watching). I look forward to meeting you at the next Shabbat dinner ! Aaron Bloch - I'm a senior cognitive science major from Westlake Village, and I hope to become some sort of doctor! I enjoy music, paticularly when it involves friends - whether that's sharing new music, going to concerts, or jamming with my guitar. I am on the Chabad board because Chabad has helped to find an increased appreciation for the traditional Jewish environment I grew up with, in the context of college - and now it's time for me to give back! Ben Einstein - Hi! I'm a 4th year from Los Angeles. I am passionate about business, art, Chabad@Cal, and going fast (not necessarily in that order). My hobbies include flying airplanes, cooking, riding motorcycles, and voraciously reading. My close friends call me "Bibi." Go Chabad Bears! Ariel Fridman - Hello, my name is Ariel Fridman and I am a junior studying Economics and Statistics. I am originally from Los Angeles, and my hobbies include biking, hiking, and traveling. I am on the board because I love the Leeds family and everything they do! Michaela Fried - I am a second year from Los Angeles, CA. I am still unsure about what I will major in, but 100% certain about where I will be spending my free time-- Chabad, of course! Amit Goren - I'm a 2nd year from Danville, CA and and currently a pre-business major. I love dance and simply hanging out with friends. I'm so excited to serve on the Board this year and be part of an amazing group! Derrick Grunwald - My name is Derrick Grunwald, and I am a Junior doubly declared major in Genetics/plant biology and Microbial biology. I am from Johns Creek, GA and my hobbies are reading, movies with friends, and any other typical/ unexciting things. I am on the board to have a say in how a home-away-from-home runs. Naveed Halavi - I'm a senior political science major, originally from Beverly Hills. In my free time i enjoy hanging out with friends and making music. I decided to join the board so i can make a difference in the Jewish Community on the UC Berkeley campus and extend a friendly hand to those that feel out of place. I believe Chabad is a place where people can come together, meet new friends and make memories that last a lifetime. I'm excited to be able to be apart of that. David Hartman - I'm a fourth year engineering major and I love any and all jewish related things. I'm from the greatest place in the world- Brooklyn, NY and I'm really excited to be on the Chabad board this semester. Omer Hazon - I am a second-year physics major from Sunnyvale, California. I love the community at Chabad and I look forward to an amazing year with this great board. Josh Javendanfar - Hey my name is Josh Jav and I am currently a psychology major at UC Berkeley. I am from Los Angeles, I love to cook and to hang out with friends. I am looking forward to meeting many new people and overall a great year with Chabad. Anna Bella Korbatov - I’m a third year from Los Angeles, majoring in political science and minoring in public policy. I enjoy writing, painting, and photography. I look forward to seeing you around at Chabad! Dove Roth - Hi, I am Dove Roth and I am a senior business student at UC Berkeley. I am an executive on the Israeli business club Tamid. You are likely to find me playing basketball at the RSF after classes. I am on the Chabad board to help people I truly connect with. Plus, I love the close and friendly community and Shabbos dinners. Rivkah Schefres - I'm a 4th year studying Architecture and Theater (for costume design), originally from Palm Springs, CA, but now live in Los Angeles, where I went to Hamilton High School's Humanities Magnet. I enjoy drawing, playing tennis, reading, baking banana cake for Chabad events, and (of course) anything Star Trek. I am so excited to be serving on the Student Board again this year and hope to plan amazing events and contribute to the growing Jewish community here at UC Berkeley! Rachel Silver - I am a third year from the Bay Area, CA, and am double majoring in psych and social welfare. My hobbies include painting (oil, and watercolor), swimming, scuba diving, cooking, reading, and being outside. Alon Sugarman - I am a 3rd year student studying history. I grew up in Pacific Palisades in West Los Angeles. I like to read and cook. I am on the board because I really enjoy being involved in the community that Chabad facilitates for UCB students. 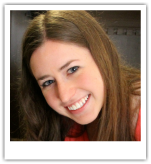 Sara Weissman - My name is Sara Weissman and I'm a second-year history major from Irvine, CA. I like writing, traveling, dancing and exploring Berkeley. I'm on Chabad board because I've seen what an incredible resource and home-away-from-home Chabad is for Jewish students at Cal and I look forward to watching it grow. Elliane Yashar - I am a fourth year psychology major and theater minor from Petaluma, California. I love acting and traveling!